The Milliard Tri fold mattress / futon measures 75” long x 38” wide and is 4” thick for a comfortable and supportive mattress. Compactly folds to a size of 38” x 25” x 12” small. Milliard tri-fold mattress is ventilated for air flow to help regulate sleep temperature for maximum support and comfort. 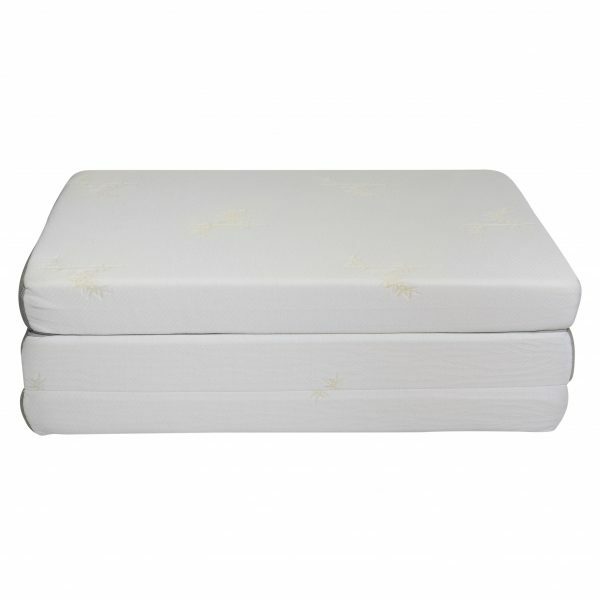 Tri-Fold mattress is constructed of 4 inches 3lb luxurious foam for a great sleep experience. 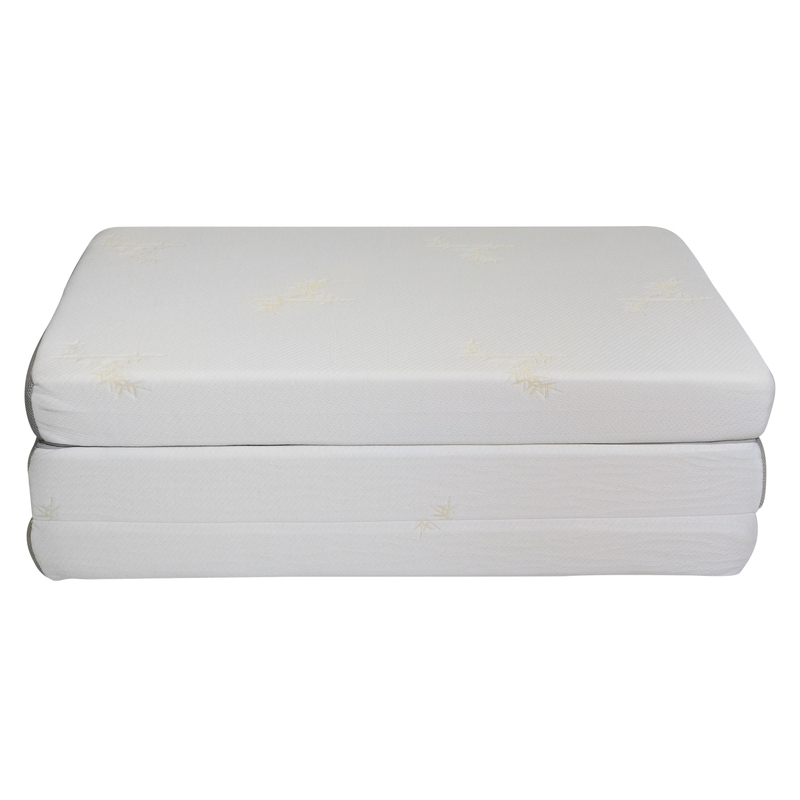 Includes removable jacquard ultra-soft bamboo cover with anti-slip bottom. Simply unfold the foam bed on the floor in any room, mobile home, or tent for a comfortable night’s sleep. Sweet Dreams! The Milliard Foam Tri-folding portable Mattress allows you to get a comfortable night’s sleep wherever you go. Simply unfold the foam bed on the floor in any room, mobile home, or tent for a comfortable night’s sleep. This bed easily accommodates all your sleeping needs then folds neatly away for storage in seconds. 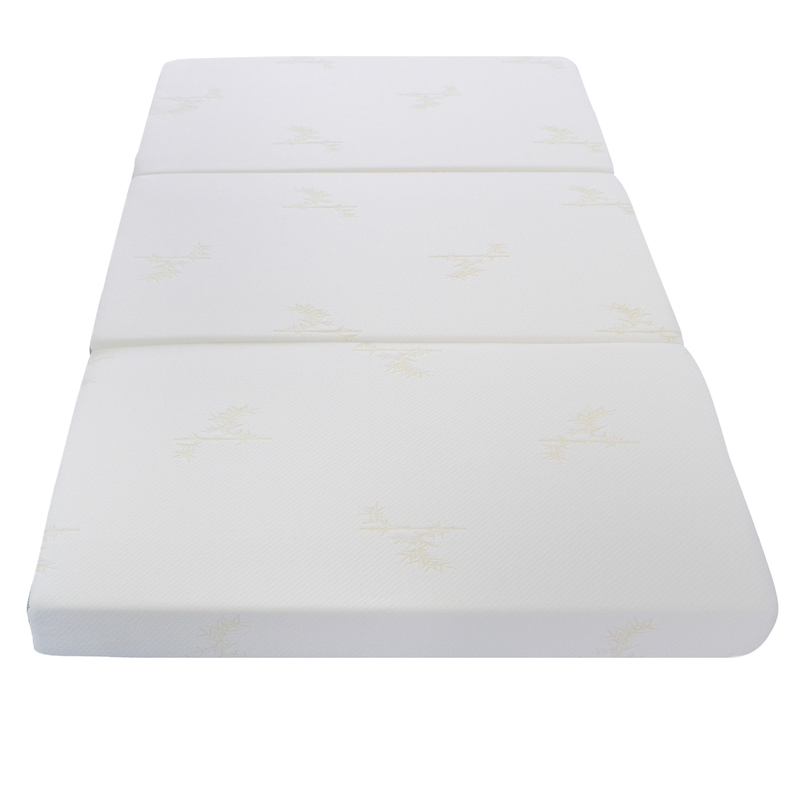 Milliard foam is known for the therapeutic qualities and comfortable support and its CertiPUR-US Certification. The Milliard tri-fold mattress is ventilated for air flow to help regulate sleep temperature for maximum support and comfort. The Portable Tri Folding Mattress is the ideal solution to temporary sleeping accommodations. Perfect for unexpected sleep over guests, family reunion, dorm rooms, camping and traveling. Wherever you go and whatever you do, use the Milliard Tri-Fold Mattress for the sleep you love. 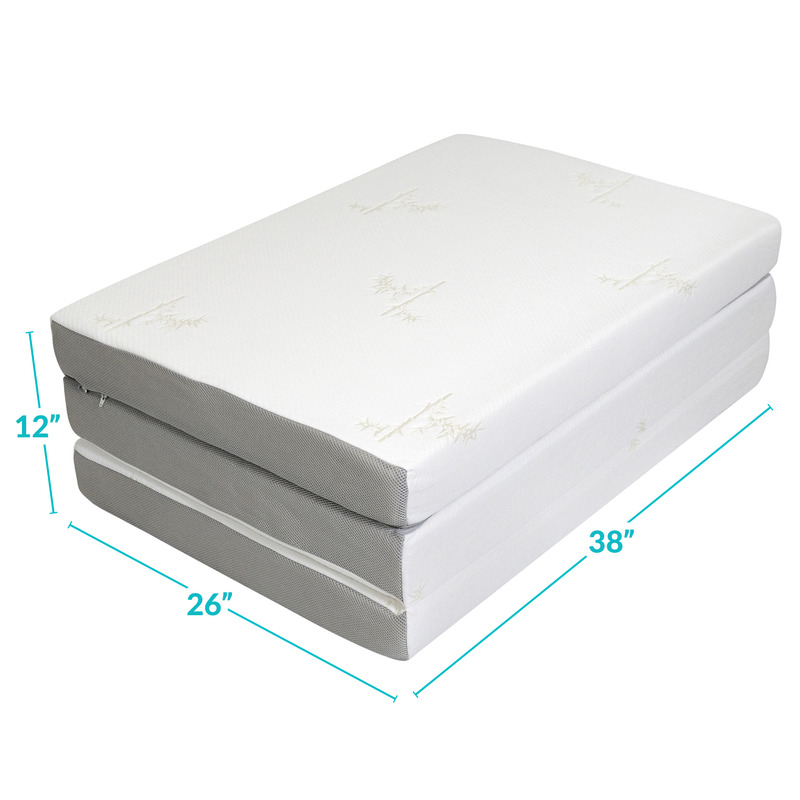 The Milliard tri-fold mattress is constructed with 4inches of 3lb luxurious for a great sleep experience. The 4-inch folding mattress is designed for custom body support and rich softness to send even light sleepers into dreamland without clunky springs or bed frames to creak or poke. 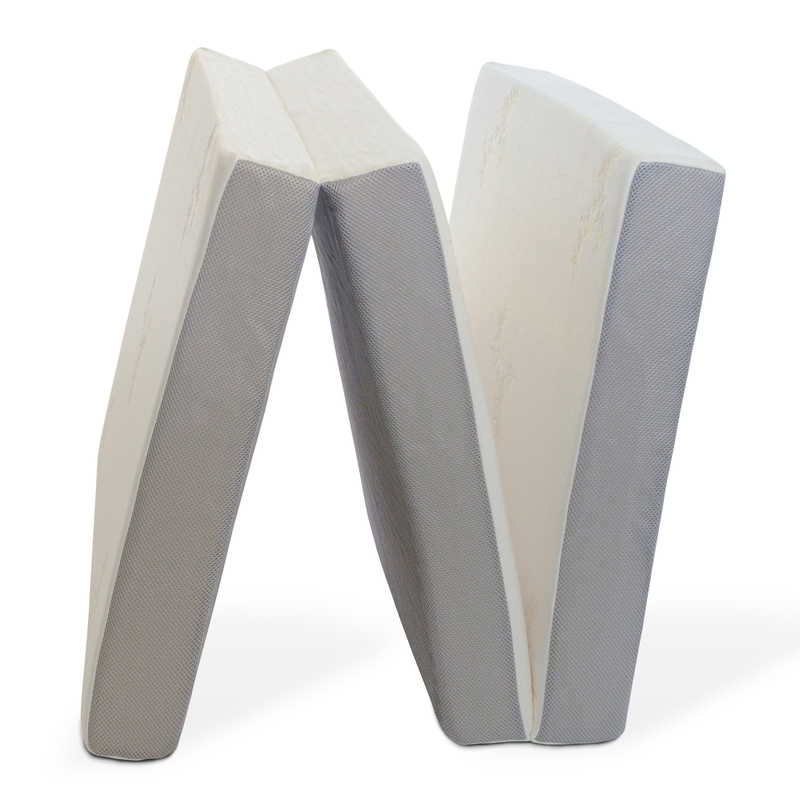 Our premium foam supersedes all with superior high density construction that will not lose its shape. 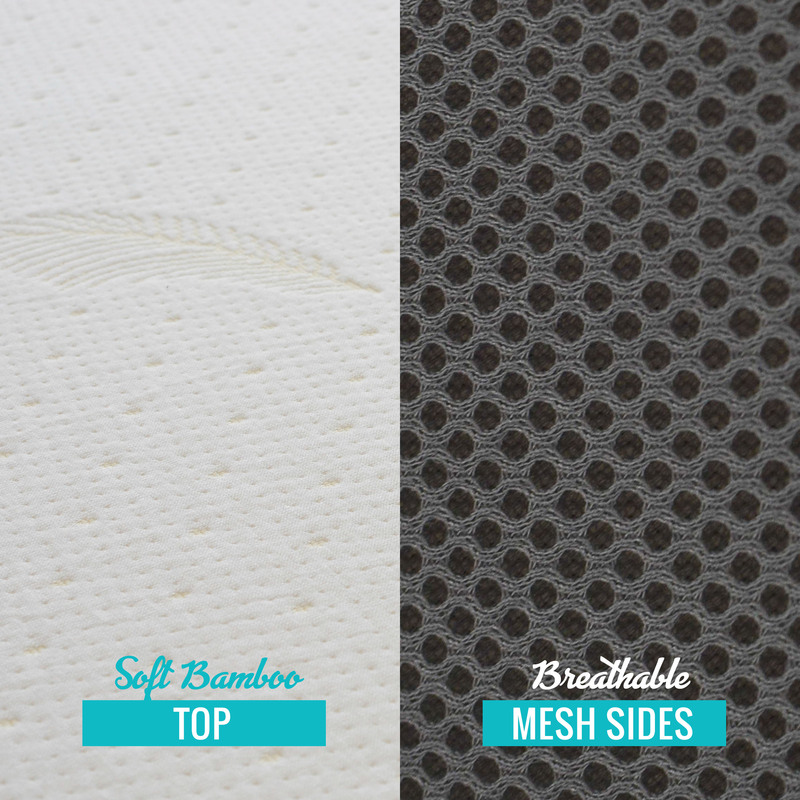 Mattress includes removable jacquard ultra-soft bamboo cover with an anti-slip bottom that is both removable and washable for your convenience. For almost a decade, customers have favored the comfort and reliability of Milliard products as a brand they can trust. 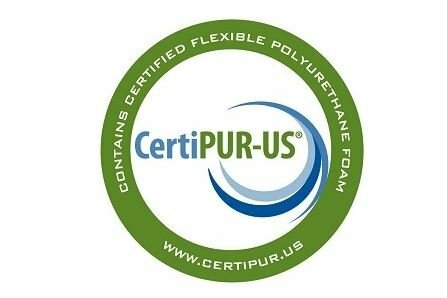 Being CertiPUR-US certified and designed with you in mind, you know your mattress will be just right the first time, every time. You can rest assured that this Foam has been tested and is not made with any CFCs, ozone depleters, or PBDE flame retardants, or any lead, mercury, or heavy metals, or formaldehyde, or prohibited phthalates, and has Low VOC emissions to make sure it doesn’t affect your indoor air quality. This will be the floor mattress everyone wants at a sleep over! You’ll get a much better sleep on this foam mattress then the uneasy feeling of an air mattress! And for an even better night sleep get the 6 inch, BUT that one is larger/bulkier to stow and carry room to room by yourself. Great comfortable mattress. The one I got had no odor (other reviews described an odor problem). I slept on for 1 week and it was wonderful. Far more comfortable than a usual 3 inch foam one. This is such a perfect mattress for my toddler, she sleeps on this in her IKEA Busunge convertible bed and it’s just the perfect fit and cushion enough to support her which I prefer over the typical spring or the mattress intended for this particular bed. I slept on it directly on the floor and it’s very comfortable for smaller lighter people since I’m petite as well. I would suggest a thicker version of this mattress if you are tall or weigh more than 185lbs. I like that the cover zips off the three separate foam cushions to permit washing and it’s pretty light for ease of moving it or taking it along with you on trips. This mattress works great. I’m 6′, 200 lbs, 37 yrs old. Slept on it for 4 days. It was comfortable and I could even sleep on my side, but not all night. My wife (5′ 3″, 120 lbs, 37 yrs old) thought it was a bit stiff, but was able to sleep on it for 6 nights pretty well. The only drawback is that even being a tri fold, it is still bulky.